Sometimes we get to work as closely with the bride's parents as we do the bride and groom themselves, and often times we completely enjoy this process. Macy's mother is seriously on my list of top favorites, especially when it comes to her skills of putting together a killer welcome box for out of town guests. 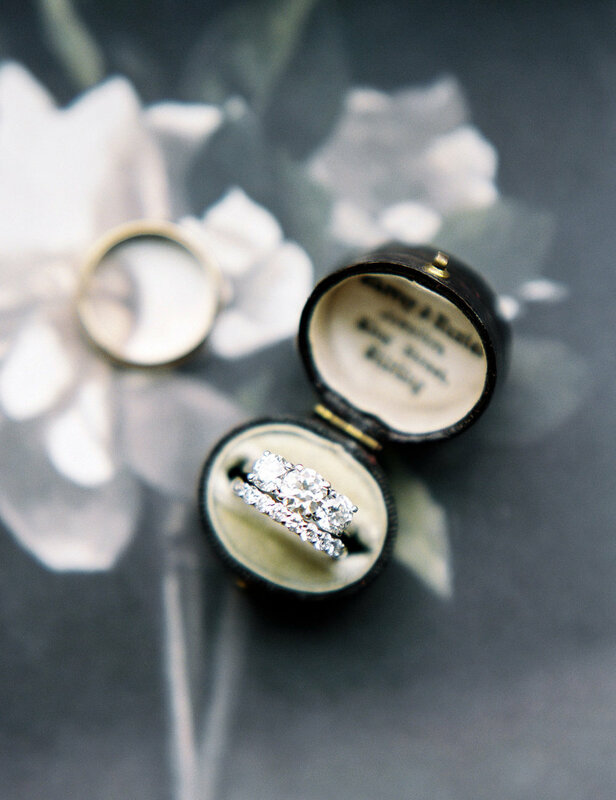 But all in all, the classic eye that Macy has for all things, and in regards to what she envisioned for her wedding day, were nothing but beautiful and many girls' winter wedding dreams. Vows were said at the UGA Chapel on North Campus, and their reception celebration took place at non other than the classic southern venue that is The Taylor Grady House. With over 250 guests, we had no choice but to celebrate under the night sky (or clear tent, rather) for dinner and dancing. Fortunately, it was a milder winter, but we were well equipped for the elements. Every detail that made up the day was intentional, and personal, and that's how we like it. 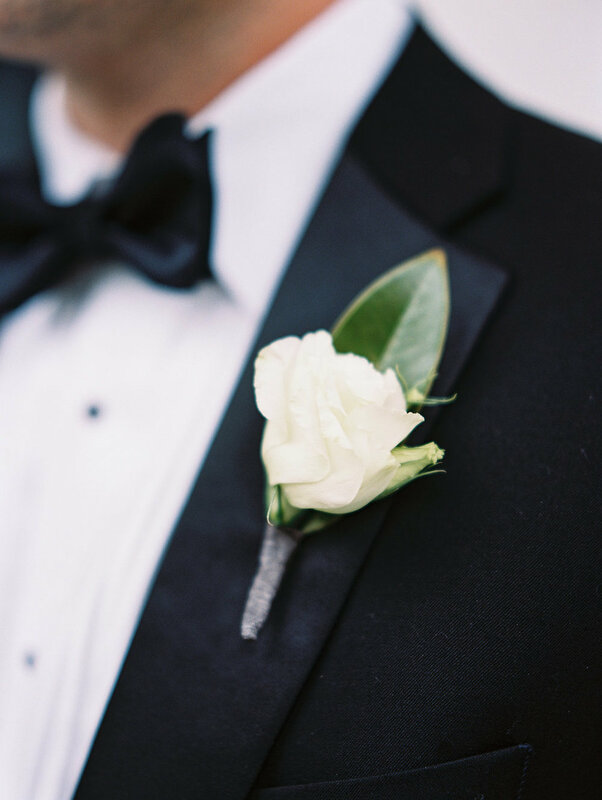 Enjoy some of our favorite shots from the talented Sarah Ingram Photography, and sit back and take in the cool greys, whites, and black ties alongside the fresh greenery touches. We hoped to keep it winter without making it about the holidays (but no one could resist the Santa hats when they were brought out for the late evening fun and merriment). It's no secret that we love a sweet First Look from the bride and groom. After the big reveal, Macy and David exchanged sweet notes to one another and enjoyed some one on one time with each other before everyone was whisked to the Chapel. Is this invitation suite not what dreams are made of? It's the perfect melding of traditional and classic modern, and the custom crest that Sarah Ingram created was integrated in with other aspects of the day-of design. Remember when we mentioned those amazing welcome gifts for out of town guests? Swooning still over here. Macy and David's guest book was actually Rebecca Wood's Beauty Every Day Book, and we think this would make a great giveaway - what do you think?! It's the perfect local option that is pretty inside and out.